So you’re tired of dining on McDonald’s and you want something different. Something fancy. You’ve got the cash saved up and you’re willing to fly anywhere in the world for the best meal you’ve ever had in your life. 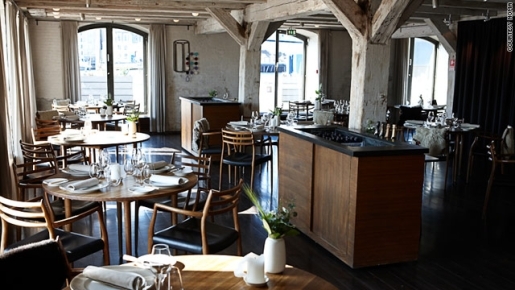 Well, if you listen to the S. Pellegrino guide to fine dining, chef René Redzepi’s restaurant Noma, in Copenhagen, Denmark, is the best restaurant in the world. Noma sits atop the yearly “World’s Best 50 Restaurants” list, breaking El Bulli’s four-year run of dominance. However, if you don’t want to go far from home, there are plenty of great restaurants right here in the United States. Eight of the top 50 are from America, so there’s some good eating right in your own backyard! Alinea in Chicago is the top American restaurant this year, ranking at number seven overall. New York’s Daniel and Per Se are eight and 10, respectively. I have to say I’ve got very little interest in fine dining. Most of the food is a bit too strange for my tastes, the decor is normally a bit off-putting and ritzy (though Noma looks very comfortable), and the bill is definitely way too high for what you get on your plate. For $50, I want a steak I can eat off of for a week, not a little sliver of duck liver marinated in soy sauce.